'Write-In' Wins the Alaska Senate Race ... But Will Lisa Murkowski? While it has yet to be determined whether Alaskans can spell, they certainly can fill in the oval. 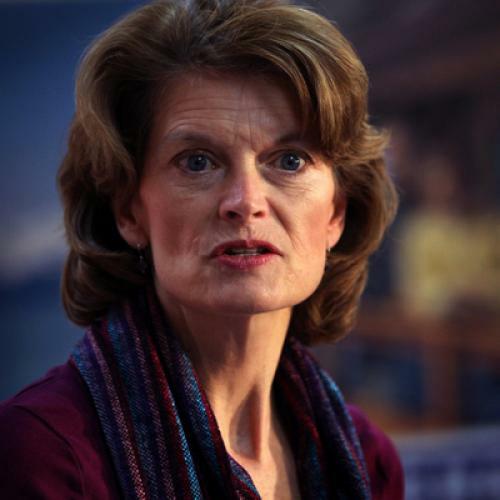 Republican Senator Lisa Murkowski seems to have held onto her seat through her insurgent campaign, with write-ins making up 41 percent of the vote. Tea Party candidate and official GOP nominee Joe Miller received 34 percent, with Democrat Scott McAdams bringing in 24 percent. Now begins the actual counting of the write-in, absentee, and questioned ballots, and—potentially—legal challenges from the Miller camp. It’ll be three weeks before there’s an official result. Miller campaign manager Robert Campbell has said that they have “several teams” of attorneys observing the write-in count. With over 13,000 votes to overcome (and lax take on spelling errors by the division of elections), it doesn’t look like Miller will be able to close the gap. His campaign released a statement today saying up to 6 percent of write-in votes could be disqualified, but that math doesn’t get him even 5,000 votes—he needs 16 percent of the write-ins to be tossed out or for other candidates. And Miller himself didn’t even really seem up for the fight last night. He spent a good chunk of his election party backstage, where he and his family seemed to eat pity cake behind closed doors. Well before midnight, he told his supporters to go home; even Team McAdams was still partying at this time. The National Republican Senatorial Committee has agreed to assist Miller in with the write-in legal process. But it’s unlikely that they’ll make as big of a fuss over this race as they did the contested Minnesota election between Al Franken and Norm Coleman, given that Murkowski has announced her intent to stick with the Republican Party. But even though she’ll be caucusing with Republicans, she should have more latitude in bucking the party line. Her constituency is made up of Republican, Democratic, and independent moderates—which gives her some mandate to govern like the Republican senators from Maine. If she’s not going to be at the top of GOP leadership, she may as well join Olympia Snowe and Susan Collins in the limelight.